A Z-stack image was obtained after staining nuclei with Hoechst using confocal microscopy at 5 micron intervals and then assembled using ImageJ software. Credit: Shurong Hou, Ph.D.
A multidisciplinary team of scientists share recent advancements in innovative in-vitro cancer biology methods for screening drug-like molecules in cancer tissue relevant models in a new report published online ahead-of-print at SLAS Discovery. Entitled "Advanced Development of Primary Pancreatic Organoid Tumor Models for High-Throughput Phenotypic Drug Screening," the report can be accessed for free. The authors—Senior Scientific Directors Timothy Spicer and Louis Scampavia and Post-Doctoral Associate Shurong Hou at Scripps Florida in collaboration with Cold Spring Harbor Laboratory, Greiner Bio-One, Nano3D Biosciences, Inc., University of Texas Health Science Center at Houston, and the Dana-Farber Cancer Institute—illustrate how a magnetic nanoparticle assembly approach is used to increase throughput dramatically while reducing costs. This technology combines specialized high-density microtiter plates formulated with an ultra-low attachment surface along with gold nanoparticles (nanoshuttles), which are used to label cancer cells in-vitro. 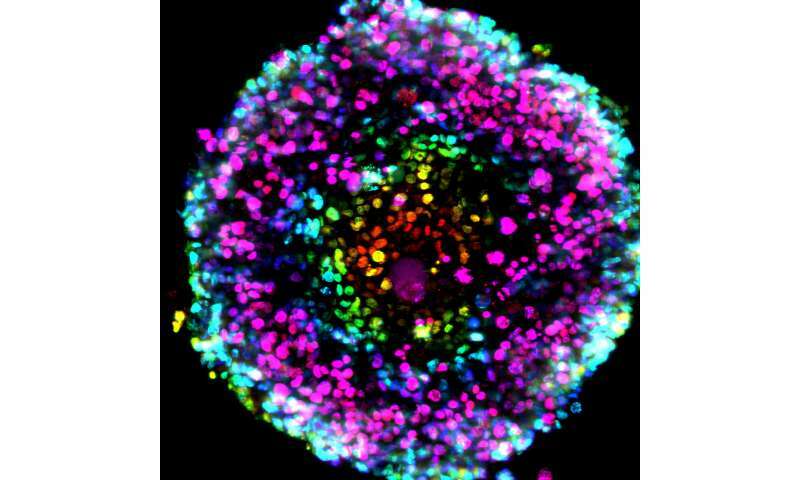 Once labeled, a magnetic driver quickly pulls the cells into a 3D spheroid or organoid structure. This 3D structure is retained and drug-like molecules can then be added, affording the ability to ascertain their efficacy.